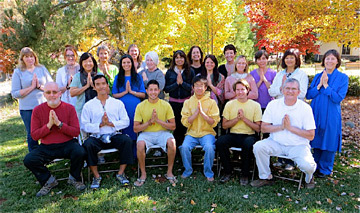 In October of 2013, we had a Meditation Teacher Training Level 1, at The Expanding Light Retreat. 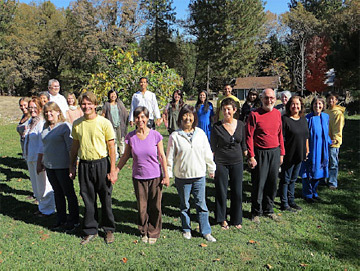 19 great souls joined us from all over the world. Participants came from 11 different countries: USA, Italy, Germany, England, Belgium, Israel, Thailand, Indonesia, Japan, Argentina and Guyana (South America). In our first meeting, each student shared his or her reason for taking the training. 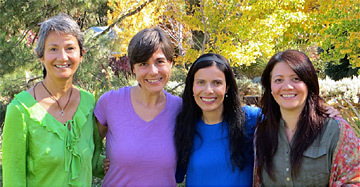 I was so touched by the common thread that linked all of us: the desire to help people through meditation. These students—all of them practicing meditators—came from all over the world, through much effort and sacrifice, to be trained so they can share time-tested tools for helping people live in peace and harmony within themselves and with others. Throughout the nine-day training, as I observed the students, I saw that they learned, inspired, and supported each other in many different ways. At the end of the training, we who were strangers to each other in the beginning became brothers and sisters in God, sharing the desire to live and serve in harmony. The love that we felt was so tangible—we all felt uplifted, not wanting the training to end. Paramhansa Yogananda predicted that world brotherhood colonies are the model for the future. This training confirmed it for me: the time has arrived for the world to become an international community, beyond culture differences, to live with each other in harmony and love. This entry was posted in Meditation Teacher Training and tagged Inspiration for Your Meditation Teaching. Bookmark the permalink.